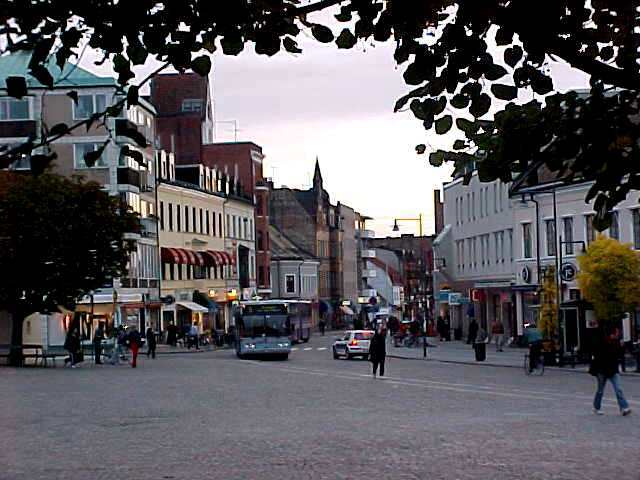 In Lund I stayed with John J�rpling and his girlfriend Helena in the historical university city of Lund. 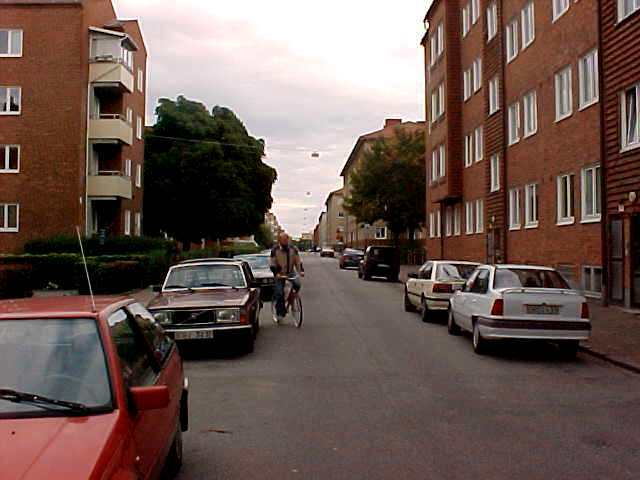 After waking up at Patric and Sandy�s apartment in Malm�, somewhere after noon, I had falafel for breakfast. 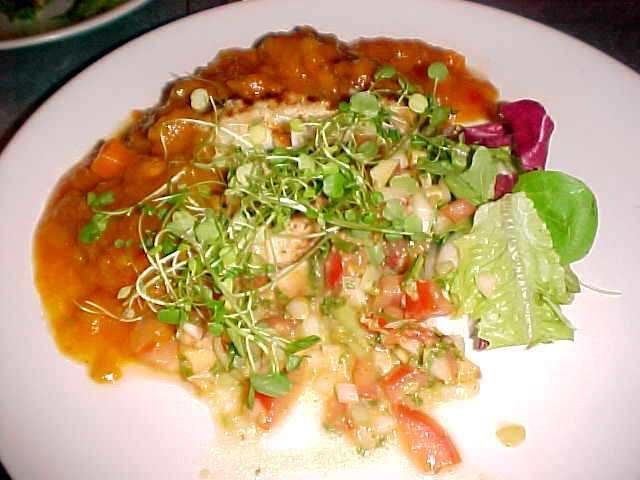 It�s an Arabic wrapper with spices and peas in it, nice taste. 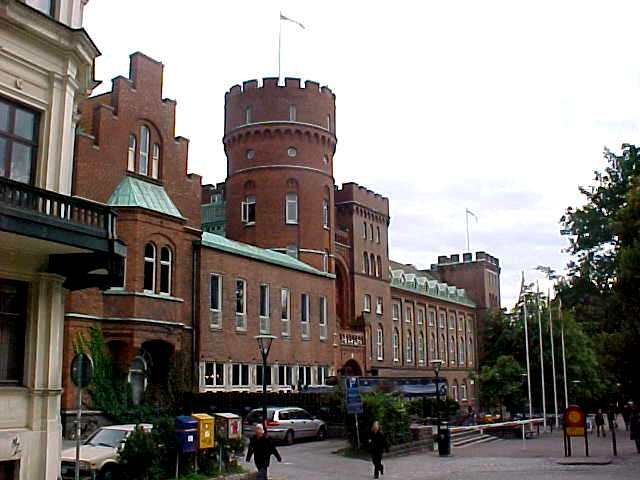 Around 4pm they brought me to the Malm� train station with a taxi. 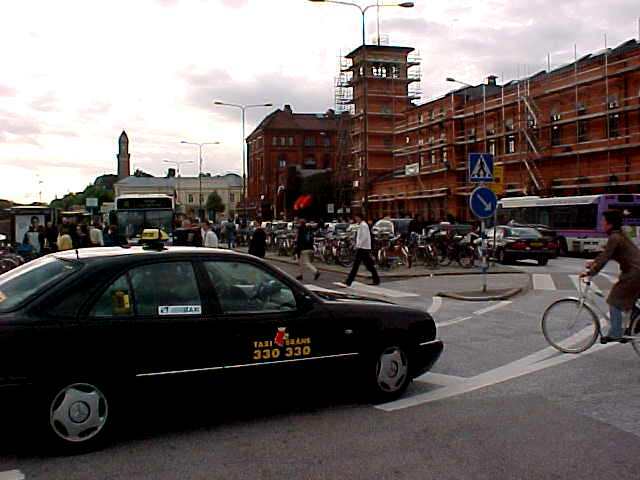 Patric is a real Swedish person, but still doesn�t really know how the busses in this city work. And there are enough taxis driving around. I thanked them for letting me stay for two nights at their place and hoped they had enjoyed it as much as I did. Just a little 20 minutes later my train arrived in Lund, the biggest university city of Sweden. One third of the population here are students, just make that a little 30,000 students in a city of almost 100,000 citizens. That is � pretty big. 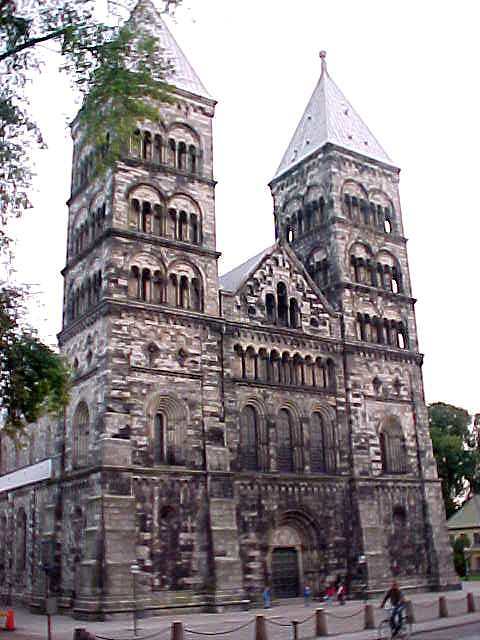 Lund was once founded in the 17th century after the county here got independent from Denmark and became a part of Sweden. The buildings here are mostly a show off to the Danish. Someway it looks as a statement of �look, we are doing good without you Danes!�. At the train station of Lund my host John J�rpling awaited me. 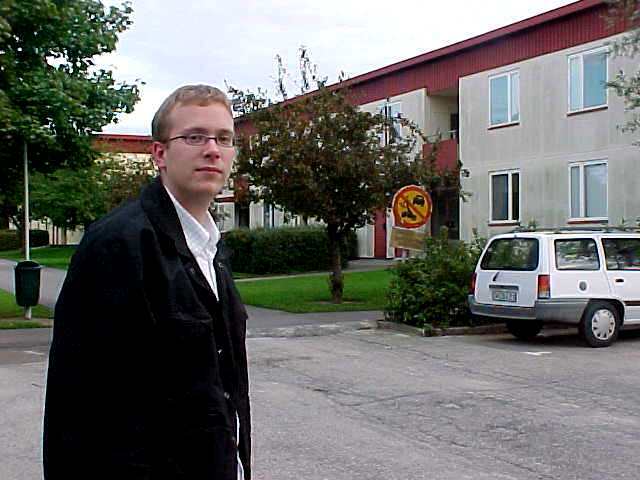 Before heading to his home in a suburb of Lund, we first went to visit Radio AF, the local university student radiostation. I was set down in a little studio as a student tried to do an interview with me. But he was pretty nervous after meeting me. It ended up in the producer asking me the questions and as the interviewer was writing them down on paper, I was already answering them on their recorder. Before I knew it we were back in the car again. John invited me a long time ago (as one of a few Swedish persons inviting me) when he read about my project on Wired.com. He did not see any notice of Sweden on my places-to-go-list and decided to put me up for a night. He envies my project, and me, but does understand it is a hard job. It�s almost everyday travelling without coming home, as in usual vacations. There is no time to really reflect on things. John studied informatics at the Lund University and he is currently working as a system developer in Helsingborg, north of Malm�. �The only problem is the daily two hours drive back and forth,� he said. At home I also met his girlfriend Helena, who is a kindergarten teacher in Lund. She is a very lovely lady as I saw at first sight. And they look like a very happy couple together. As we got plans to go out to a restaurant, I made it time for the Letmestayforaday-present. From Patric and Sandy my new hosts received a package with two shooter-glasses and some authentic Swedish miniature bottle of alcohol. John really like the present. 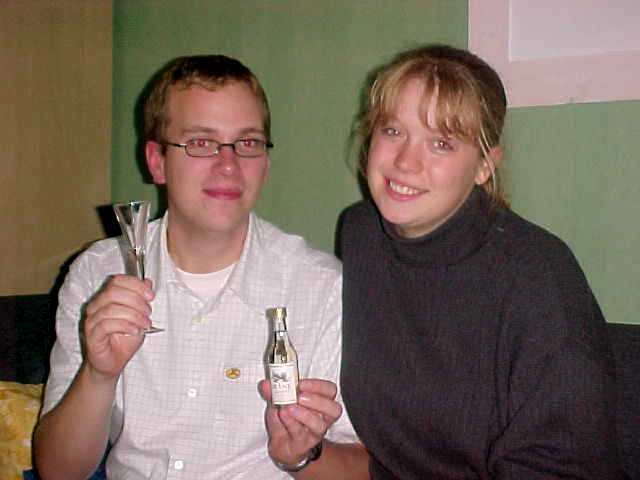 �It�s a very Swedish thing to give alcohol as a present.� He also added that on a regular party night a few shooters like these are drunk before going on the other drinks. �And the mentality in Sweden is that we drink to get drunk,� he told me. That really surprised me, because I personally think there isn�t much fun in being drunk. I come from a place where being drunk is seen as something negative. 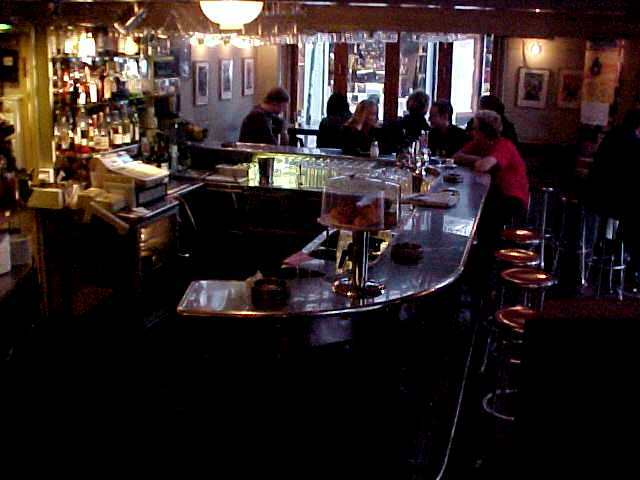 In a Dutch pub somebody will ask you to please go home if you are that far away. I more enjoy a drink once in a while in a cosily settlement instead of slamming everything backwards. Then I just won�t be present anymore and miss the fun. 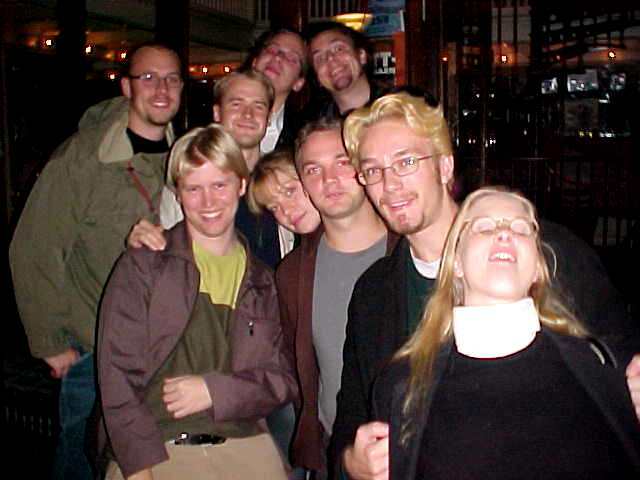 Swedish like to drink once a week and then they�ll go all the way. �That is the whole purpose of drinking,� John explained me. The fun fact here is that John and Helena met each other at a party, when they were very drunk. Then they started dating and before they knew they were living together for almost two years. 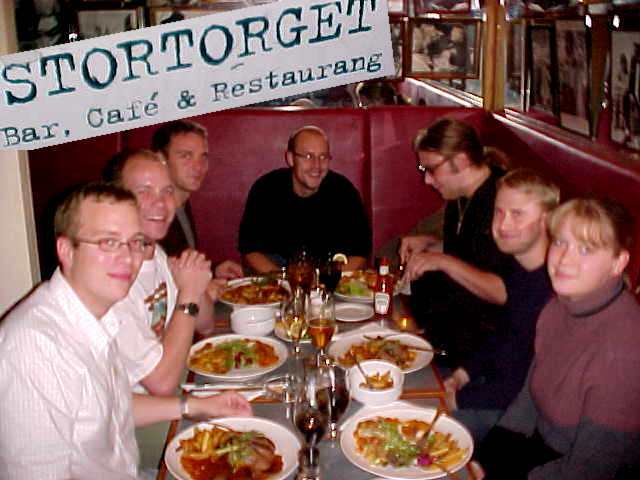 We took the bus to the city centre and met up with some friends of them at a local hip restaurant, Stortorget. Patric had told a lot of his friends about my coming by and invited them over the dinner too. From the moment we sat on our table, every five minutes a new person would show up, introduce him or her to me and join the group. That was rather interesting, because next to some Swedish, I also met an American, Irish and a Canadian student. The Swedish were almost becoming a minority here. John was fascinated to hear from the Irishman that the guy already knew about my project. He once heard about it from a friend a couple of months ago. Probably when I was touring the Irish leg of my journey. After the scrumptious chicken dinner I got, it was already pretty dark. Time to head home, as Helena had to wake up pretty early tomorrow morning and John had to go to work too. In their apartment I was offered their guestroom. S, this was Sweden for me. Tomorrow I had to leave it. Much to early! 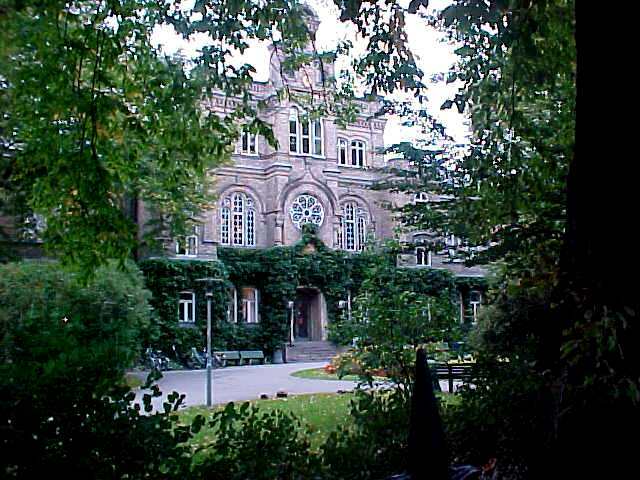 Good night Lund! Good night Sweden!